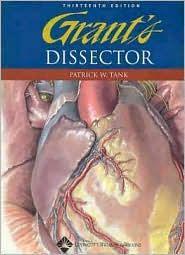 The Thirteenth edition of Grant's Dissector restores this renowned anatomy lab manual to its original purpose, which is to serve as a step-by-step manual for dissection procedures. This new edition features a more streamlined approach to cadaver dissection, focusing on more accurate, specific, and clear steps. The overall number of pages and figures has been reduced, reflecting a general trend toward fewer contact hours in the gross anatomy lab.